« Welcome, Eliza Kate Moses! 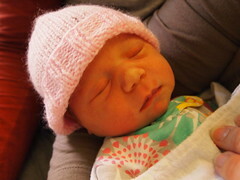 Beautiful Mya was born March 22, weighing 8lbs., 2 oz., to our good friends Marty and Angel. When I asked Sophie what advice she had for Zoey in terms of being a good big sister, Sophie said Zoey should play with Mya. I’m sure she will. 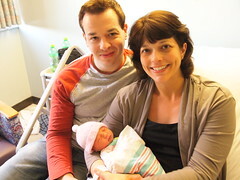 Congratulations, Beets family! We’re so happy for you! “Where did you come from, baby dear? This entry was written by kara, posted on April 11, 2011 at 9:25 am, filed under Uncategorized and tagged friends, welcome. Bookmark the permalink. Follow any comments here with the RSS feed for this post. Post a comment or leave a trackback: Trackback URL.